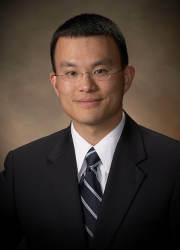 Charlie C. Pan, M.D., M.S. The field of radiation oncology allows Dr. Charlie Pan to offer individually tailored radiation treatment using cutting edge technologies, often in combination with other disciplines such as medical oncology and surgery. Dr. Pan received his medical degree from State University of New York at Buffalo School of Medicine. He completed his Radiation Oncology residency at the University of Michigan in Ann Arbor, serving as chief resident in his final year of training. Most recently, Dr. Pan received a Masters degree in Clinical Research from the University of Michigan School of Public Health in 2009. Dr. Pan was an Assistant Professor in the Department of Radiation Oncology at the University of Michigan prior to joining Radiation Oncology Specialists of Radiology Associates of Appleton. He has published numerous papers and book chapters on prostate cancer, head and neck cancer, radiation effects on normal tissue, and intensity modulated radiation therapy (IMRT). He has been the principal investigator on numerous studies evaluating novel radiation treatment techniques with IMRT, IGRT, and SBRT in the treatment of liver, lung, and prostate cancers. He is board certified in radiation oncology, and is a member of the American Society for Radiation Oncology (ASTRO), American Brachytherapy Society (ABS), American College of Radiology (ACR), and American Society of Clinical Oncology (ASCO).